2 Are you busy? Are you busy? Are you very busy? 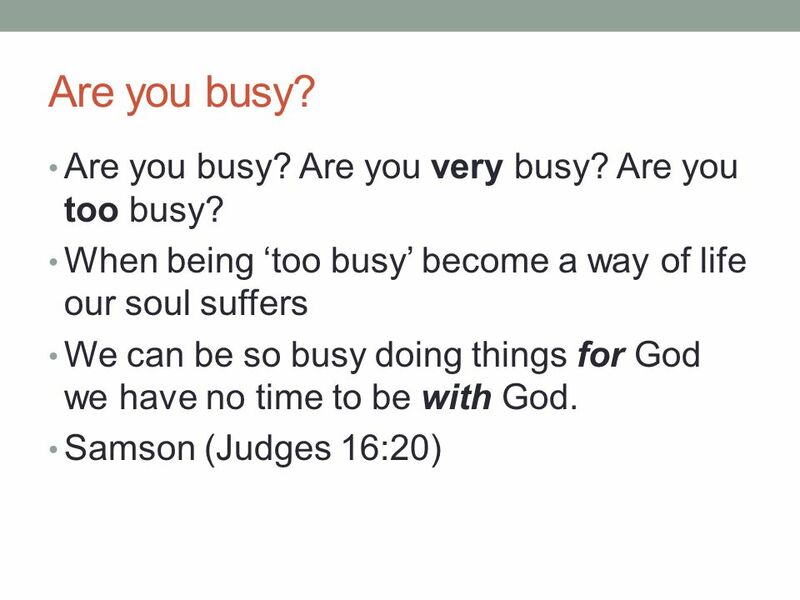 Are you too busy? 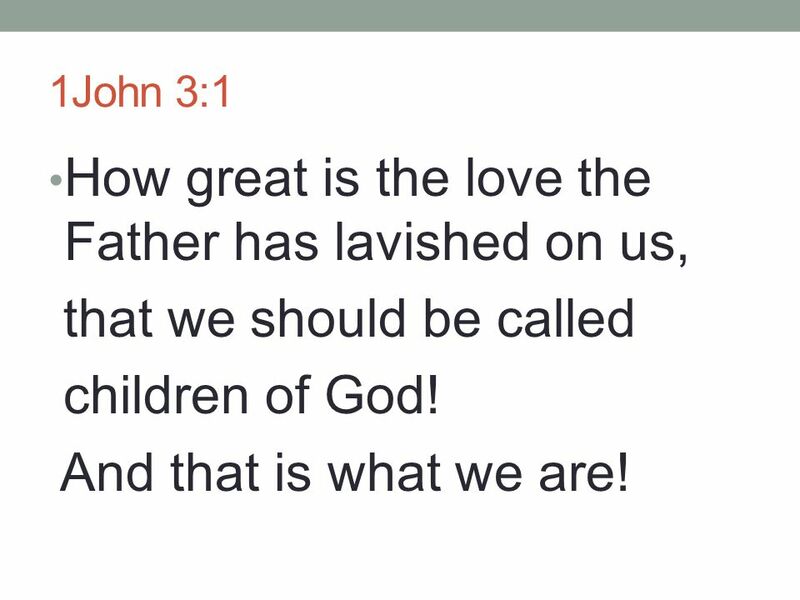 1John 3:1 How great is the love the Father has lavished on us, that we should be called children of God! And that is what we are! 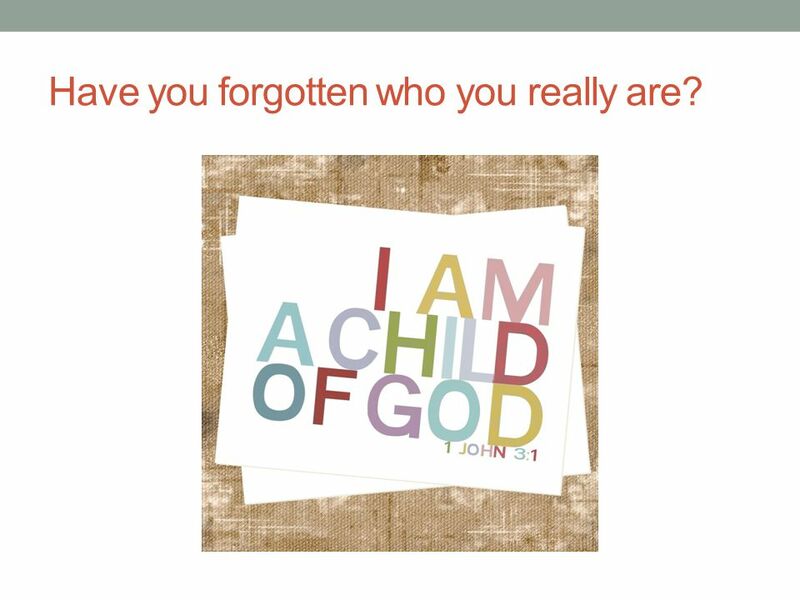 6 Have you forgotten who you really are? 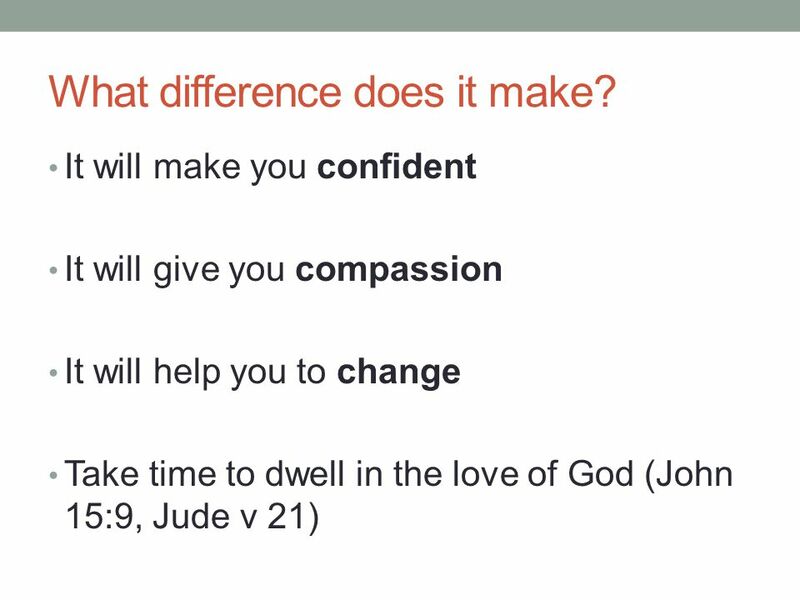 9 What difference does it make? 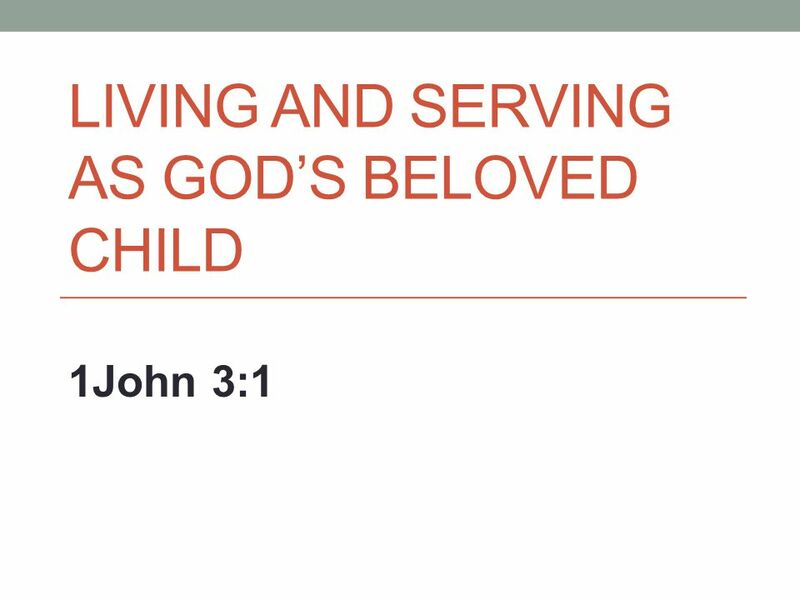 Download ppt "Living and serving as God’s beloved child"
The Perfect Parent/Child Relationship Lets Take a Look at God the Father & God the Son. Lord, teach us to pray – Mt. 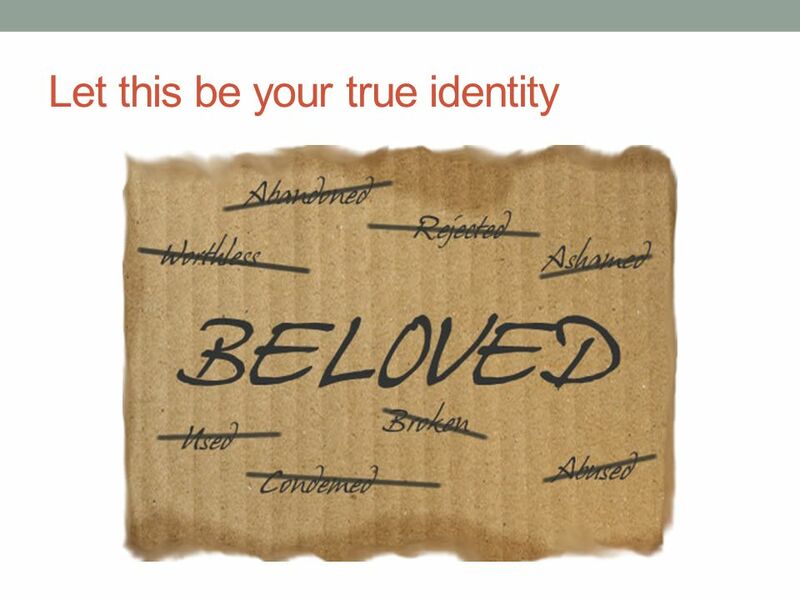 6: Relating to a personal God –v.9 2 ways of looking at prayer:- 2 ways of looking at prayer:- a. Getting things from. 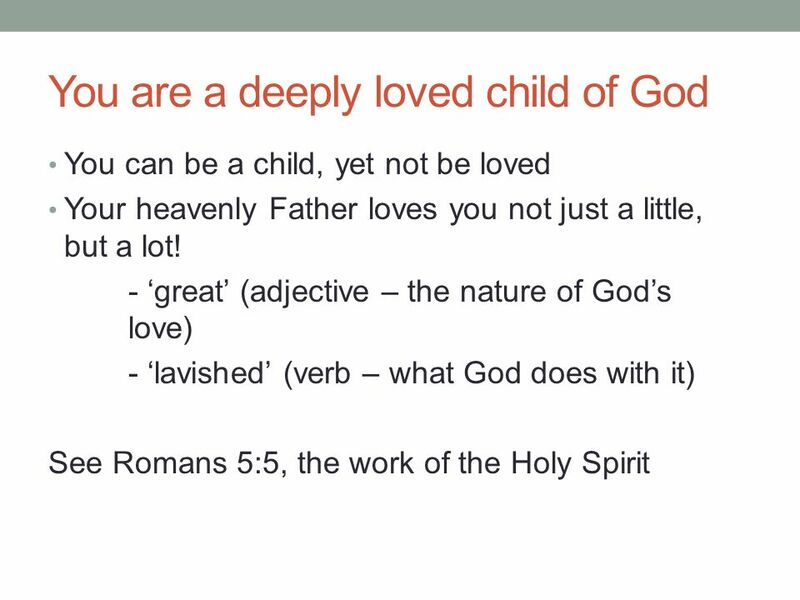 KNOWING GOD DEEPLY 1John 4. Our Reason For Hope Our Reason For Peace Our Reason For Joy Our Reason For Love. What is Love? 1 John 4:7-21. 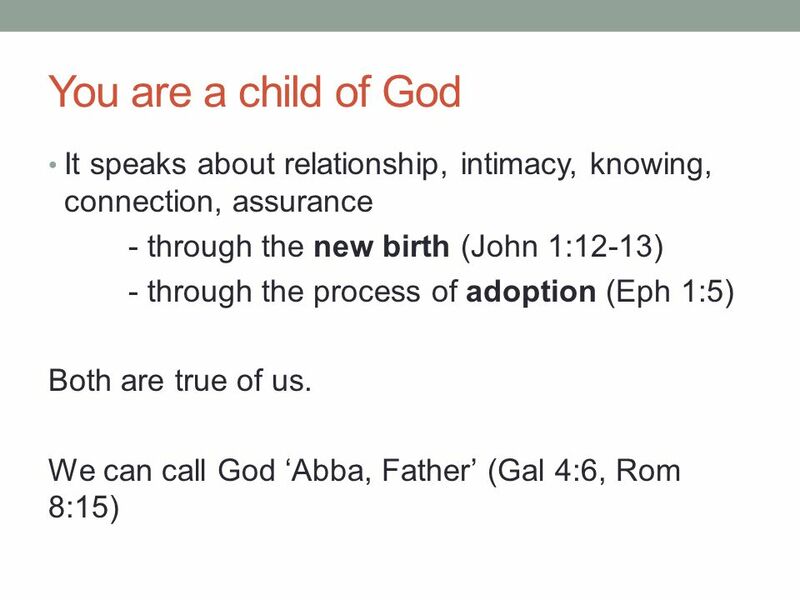 1John 3: See how great a love the Father has bestowed on us, that we would be called children of God; and such we are. For this reason the world. Always Remember Psalm 77:7-15. 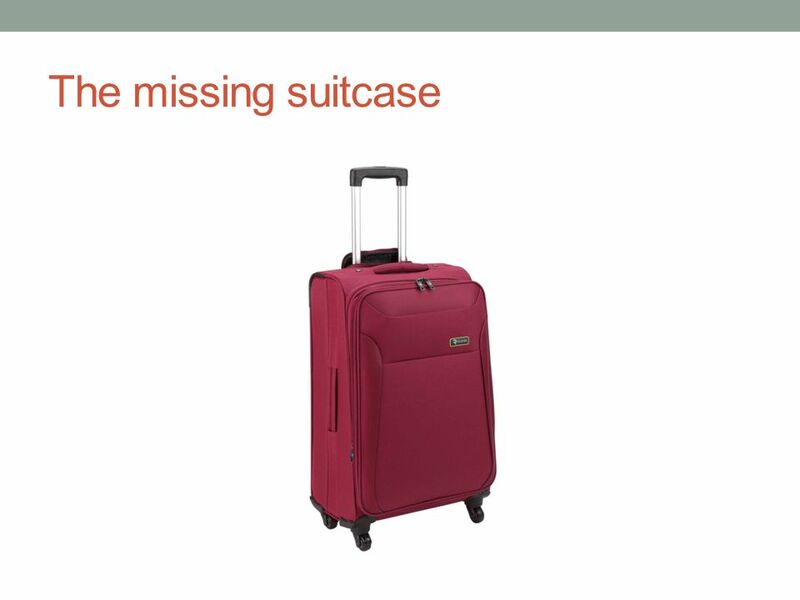 Memory A wonderful tool and blessing Helps us learn and grow Helps us avoid mistakes and duplicate successes Let us resolve. 1 Corinthians 1: God made the cross an object lesson like no other, 1 Cor. 1:17-25 Strange object to teach greatest message ever heard Not the. We Wish to See Jesus (2) John 12: We Can Only See Jesus by Faith “Blessed are those who have not seen and yet have believed” (Jno. 20:29) “…whom. God, you sure shaped a lot of different people.